As reported on our forums yesterday, on Thursday night, NYCAviation lost Co-Owner and Editor in Chief Matt Molnar while he was spending time with his fiancé, Gina. He was 33. Wake and funeral information can be found HERE. 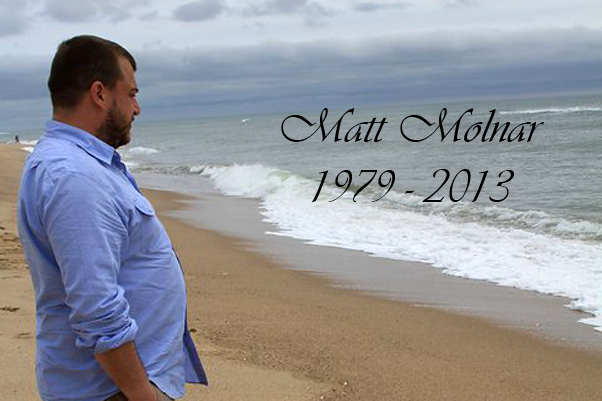 Please help offset the costs of Matt’s funeral and medical expenses, while also contributing to his preferred charities of The Humane Society and The Wounded Warrior Project, by donating to the Matt Molnar Memorial Fund. When NYCAviation began as a newsletter in 2003, Matt was a friend I knew from a train advocacy/enthusiast organization (Straphangers.org). As our friendship grew through the years, the popularity of NYCAviation grew as well from a local enthusiast site into something more, and I asked Matt if he’d like to be involved. As a growing aviation enthusiast himself, he was in. Using his talents as a producer for the websites of Popular Mechanics and Smart Money, Matt offered us skills, talents and the personality to take NYCA to steps that I never could have done alone. Not even close. Aside from having the skills to rebuild the site from a technical perspective, he spearheaded our social media platform, which has proven to be a source of great success for our organization, not to mention his contributions as a writer, editor and in so many other aspects of the site. The tens of thousands that visit NYCAviation daily would simply not have come here if it were not for what Matt has brought to the table. A couple years ago I offered Matt half ownership of NYCA, not because of money offered as a buy-in or investment, but because he truly made NYCA his baby as well, and he earned it through the sweat and the heart that he applied on a daily basis. From then on, we loved telling people our joke “We’re partners…but not like that.” Regardless of our constant innuendo humor, I did love the hell out of him. More importantly, the work he did on computer screens was nothing compared to what he did for me personally. Through my own ups and downs of my 20s, Matt was a friend that was there to sit and listen while we tossed back a few beers. Through changing jobs, moving into new apartments regularly, relationship breakups, a failed wedding engagement, and my general idiocy, Matt had my back, no questions asked. He was my boy. He was my sanctuary where I could always go and sit back and relax no matter where we were. No matter how I felt when I entered one of our homes, a bar or restaurant, I always exited with a smile that he put on my face. Matt gave me regular cheek-soreness from those smiles and laughter. He was easily the funniest man I knew. A generally quiet man, he would throw in the most perfectly timed one-liners, and was like a soundboard of great movie quotes, also perfectly timed for maximum laughs. You’d never see them coming and would end up curled up on a ball on the floor, frozen in laughter with tears streaming down your face. That is by far what I will remember most about him. But then January 24, 2013 came along. For what he brought to my life, I always felt in debt to him, and always will. I felt there was nothing I could do to repay him for what he did for me and for what he meant to me. 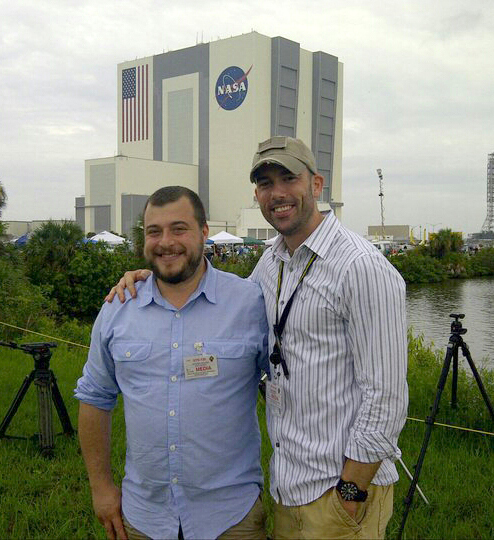 Though NYCAviation will always continue to serve the aviation world, needing close to a half dozen people to even come close to what he could do, I will never be able to replace that friendship. I spent all day yesterday wanting to call or text him to make our typical inappropriate “too soon” jokes about his own passing. Though I have been looking at the map of the galaxy on my wall and wondering where he visited first, I know that once crossing over, Matt has not left Gina’s side. That’s the kind of man he was. Matt walked away from this life way too early, and though sudden and tragic, he touched so many people in his short time and his final days were happy ones. My tears are accompanied with a smile for having been so lucky to have him in my life. Here’s to Matt, surfing the winds aloft among clear blue skies for all of eternity. I miss you, brother. Those were simply beautiful words & thanks for sharing, we got to see Matt through your eyes. I never met Matt in person, but, I feel as if I knew him for years. The memories that you spoke are what will help you get through this & get you through the night. That’s a lovely tribute Phil. Matt was one of the good guys. He was my smart and resourceful web producer and eventually a talented contributing writer for popularmechanics.com. I had been waiting for him to get on IM on Friday to talk to him about a story he had written for us when I saw the sad news on Twitter. You’re so right — he was generally a quiet guy, but at the perfect moment he would bust out an absolutely hilarious one liner that would get everyone laughing. I could totally see him doing his own “too soon” jokes. He was very kind and patient too–always indulging my inane questions about airplanes. When I brought him a crude drawing of a plane’s paint scheme I saw near Newark he actually took the time to figure out what it was. During baseball season he took my merciless teasing about his Mets with good humor. Reading the tributes on Matt’s Facebook page he obviously made a big impact on a great many people and I feel privileged to have known him. My condolences to you Phil, to Gina and Steven, and to the rest of Matt’s family and friends. I have been visiting nycaviation for about a year now. Never would have guessed the amount of time a dedication put forth by you two. It is by far my favorite site to visit. I can only imagine how hard it is to lose his brilliance but more importantly his friendship. Amazing article writin. I’m sure Matt is smiling down on you. Thoughts go out to all. Heard about this over at cranky flier. Rushed over hear to donate. So sorry for your loss. I am sorry for your and his fiancee’s loss. First time visitor to NYCA, came from a tweet by JohnnyJet. Will be donating… I hope that you and his fiancee will be given the strength to pick up and continue but never forget what you had. This is a beautiful tribute. There is not much I can say, but how sorry I am for your loss. Life doesn’t play fair sometimes, and it doesn’t make sense. But be strong for him… that I know he would want.